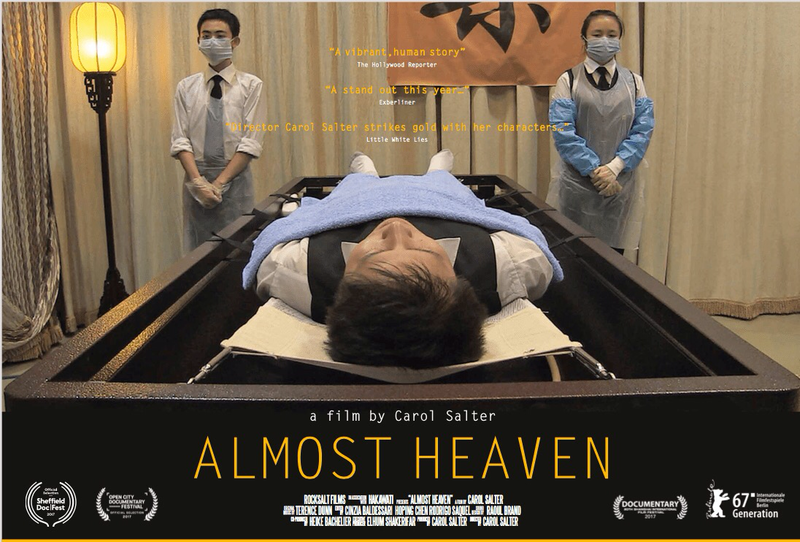 … any independent film fans and/or documentary feature film admirers out there you will surely have heard about this film, “Almost Heaven” already. If you hadn’t, well, you have now! *You see, the film and indeed one of the Q & A’s which Ms Salter spoke at evoked emotions, as well as humour… Even if under dark circumstances or indeed of life… through death. Carol also spoke of what she was going through whilst making the film, which could make it all a little more poignant. However, I hinted above at my connections with this documentary… Well, although I do make movies on a certain scale I didn’t have direct connection with this, but what I was alluding to was how it brought to me memories of either loss, regret, love or all 3, and more. Not only this, the screening I attended was at my local Lexi Cinema, which is always something personal upon any visit to that fine establishment. You also have to admire Carol Salter’s desire to self-distribute the movie and that dedication certainly seems to be doing something right – Sheffield DocFest have already recognised it, the video platform Mubi.com have also featured it for a whole month recently too! Be it very soon or upon your deathbed, at one of the seemingly many preview-like screenings Carol is bringing it to… Or elsewhere… I do hope you catch it!